Where do we go to sign the petition to reincarnate the spork!? I fixed the URL in the comic. It’s back up now. It is wholly unnecessary for him to be reincarnated. Why? The secret is all in his name…. 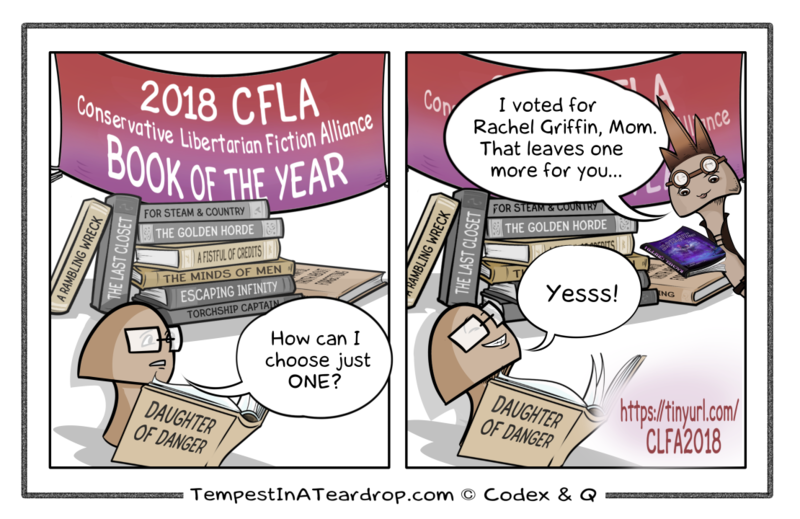 I voted for Moira’s book. I figure: The rest of us can write more books. She only has one life. Hers is DEFINITELY one of the three, and you make a good case for voting for it. “For Steam and Country” is currently #1, with “The Last Closet” running second. At this time, every other title is an ‘also ran’.